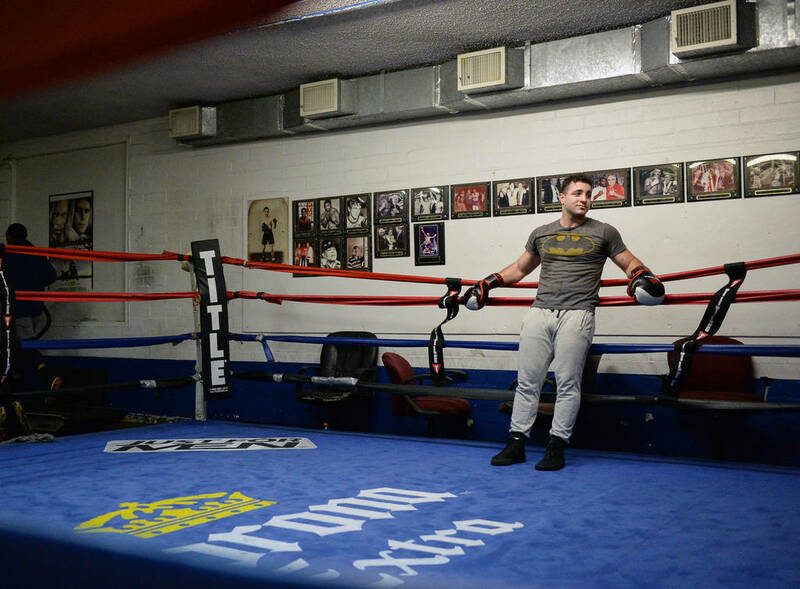 From trapezing over the Las Vegas Strip to sparring in the boxing ring, check out these six ways to get in shape while supporting local businesses. 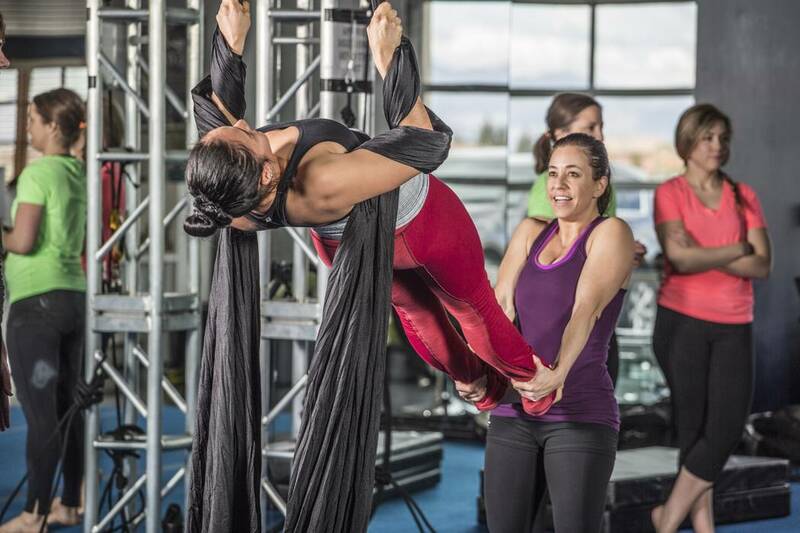 Students practice on aerial silk at Shine Alternative Fitness in Las Vegas, which offers classes in aerial acrobatics taught by current and former performers. (Courtesy of Shine Alternative Fitness). 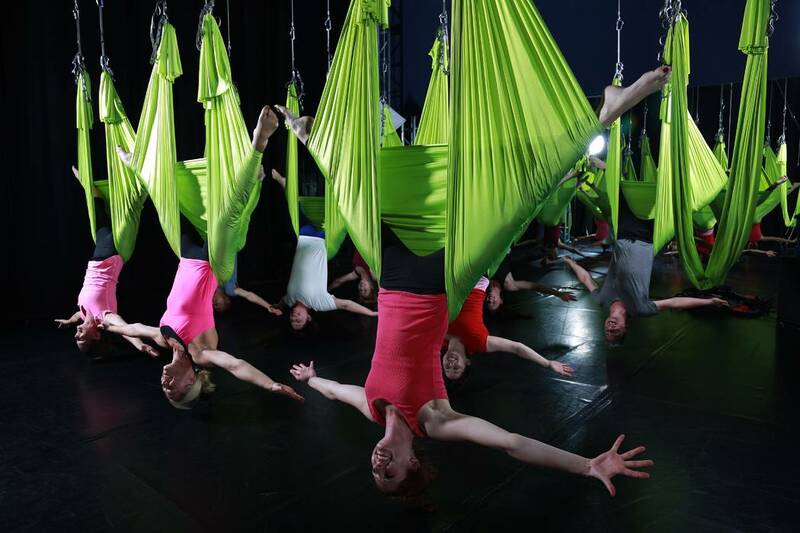 People hang from aerial silk at Shine Alternative Fitness in Las Vegas, which offers classes in aerial acrobatics taught by current and former performers. (Courtesy of Shine Alternative Fitness). Fly into 2019 — hanging off a trapeze bar or a piece of aerial silk, that is. 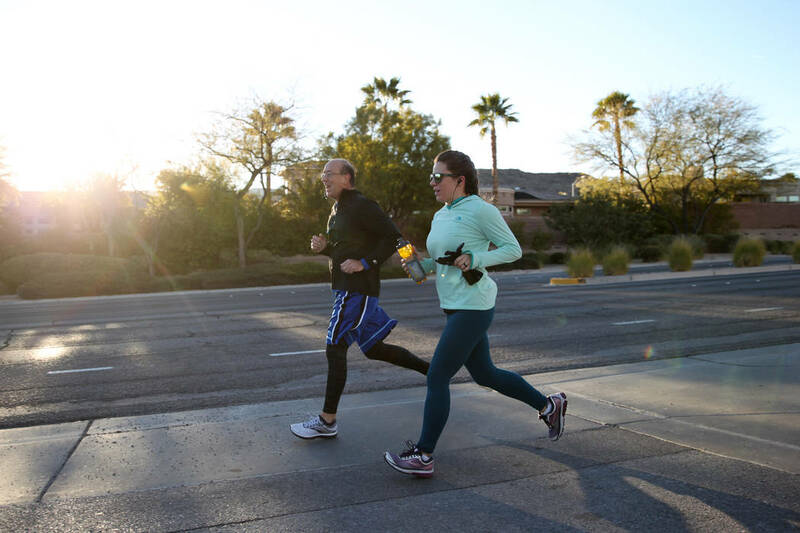 If you’re one in a slew of Las Vegans resolving to get fit in the new year, resolve to do it local and do it in style. 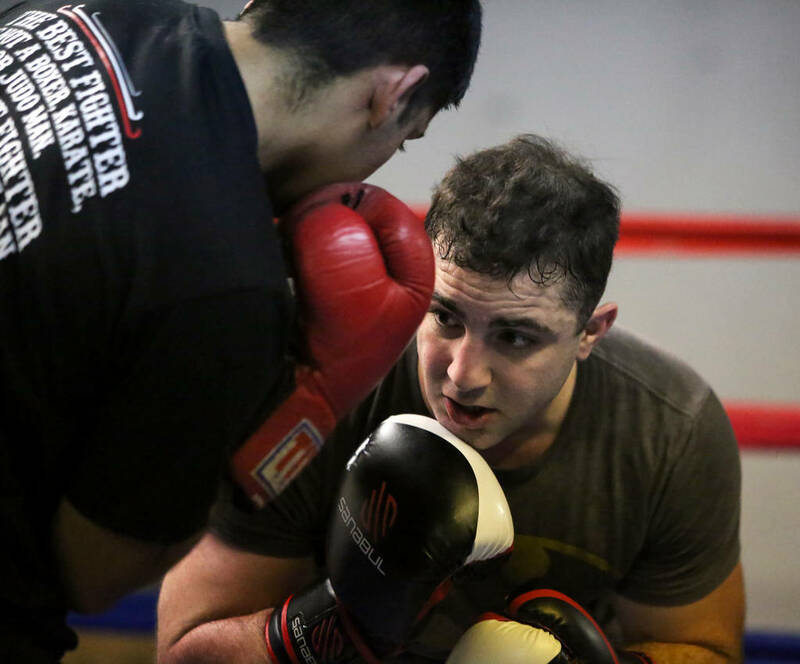 From trapezing over the Las Vegas Strip to sparring in the boxing ring, check out these six ways to get in shape while supporting local businesses. 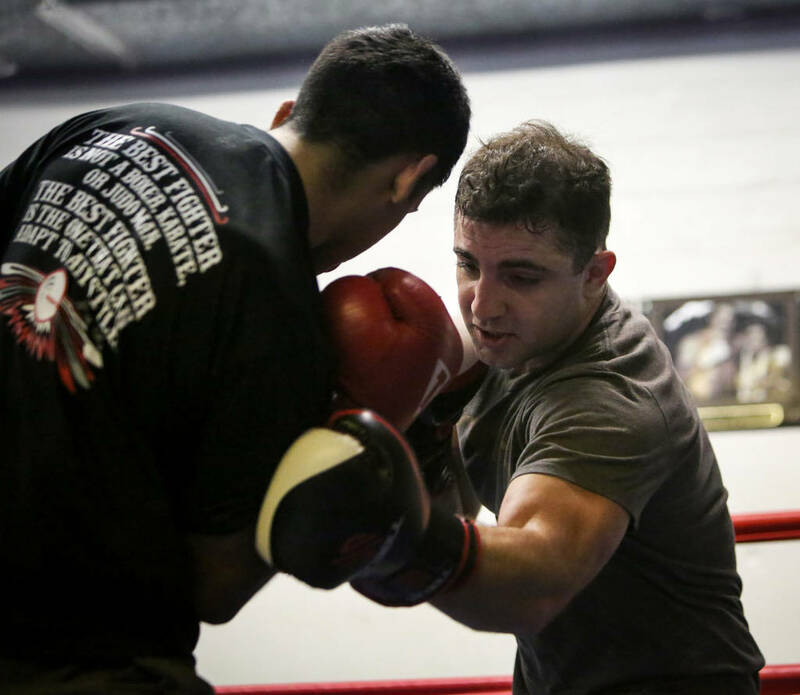 Johnny Tocco’s Ringside Boxing Gym in the Arts District downtown has been training boxers — amateur and professional alike — since the 1950s. 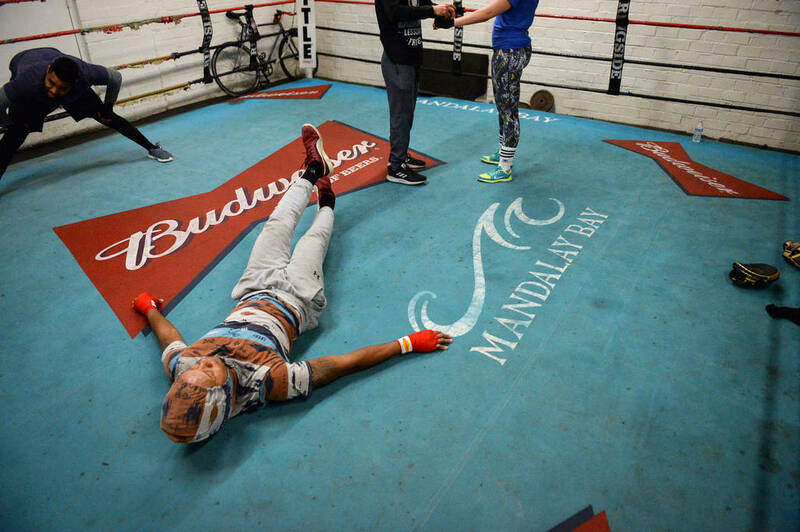 Esteemed fighters, including Muhammad Ali, worked with trainers in the gym’s ring before competing. 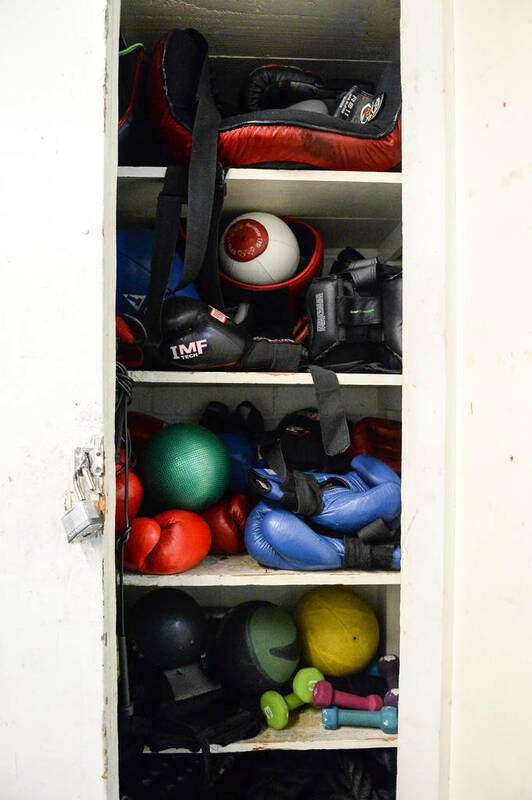 Today the gym mostly caters to beginners who tend to start at the punching bag before sparring in the ring. 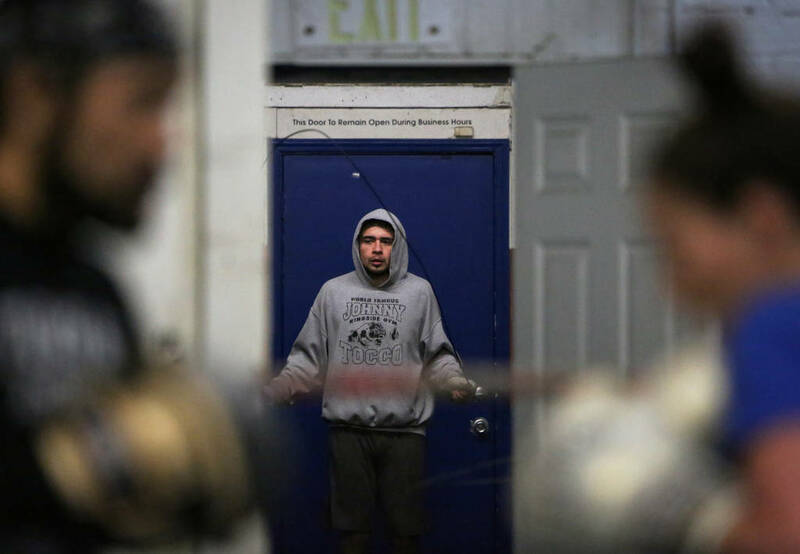 “They get into a structured routine so they can just come in and they know what to do,” owner Jimmy Smith said. In Las Vegas, access to shows means getting a lesson from the performers, too. 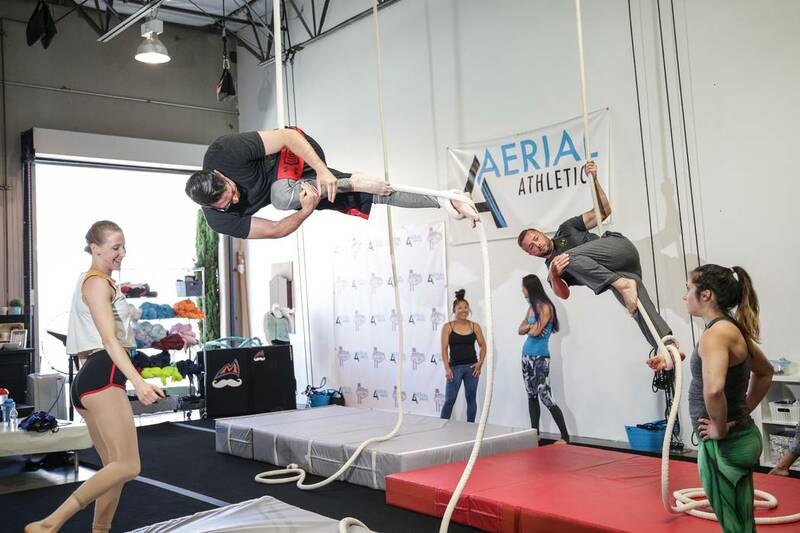 At places such as Aerial Athletica and Shine Alternative Fitness, current and former artists from shows including Cirque du Soleil productions teach acrobatics. 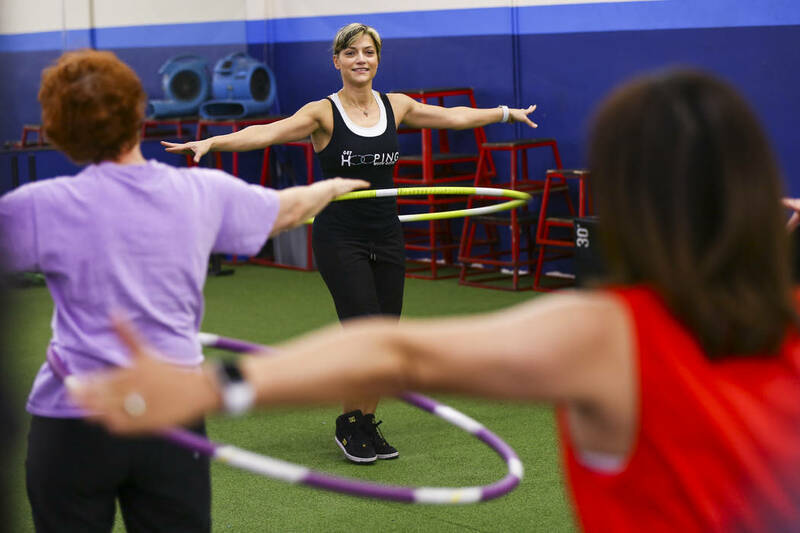 Shine Alternative Fitness (shinealternativefitness.com), co-owned by former Cirque performer Dima Shine and producer Russ Petroni, offers lessons in aerial acrobatics with silk and hoops, anti-gravity yoga, pole fitness and more. A single class at Shine Alternative Fitness starts at $24, and the studio sells packages starting at $150 for 10 classes. When Yukari Cooperstock, a Cirque du Soleil aerialist, opened her studio Aerial Athletica (aerialathletica.com) in 2017, she was looking for a way to meet others in the community who enjoy aerial fitness as much as she does. Beginners, she said, are surprised at the difficulty of lifting themselves with the help of silks. That’s because the activity is akin to riding a roller coaster, according to Cooperstock. A 75-minute class starts at $30. As an exotic dancer in her late teens and early 20s, Fawnia Mondey used to teach other women to dance. 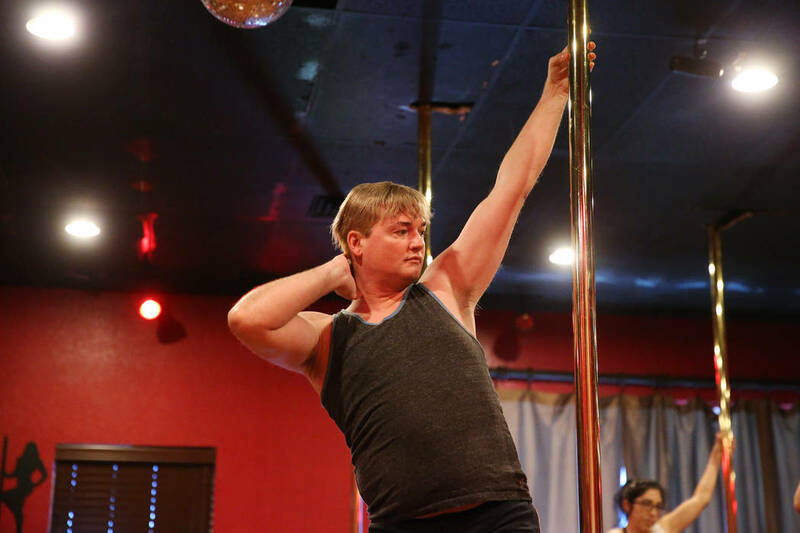 “And I realized, this was hard,” said Mondey, owner of Pole Fitness Studio in Las Vegas. She opened up shop 13 years ago to teach self-confidence and strength training. Pole dancing, she said, provides an alternative form of core training while helping a person tone their back and biceps and work on their balance. And her classes are open to adults and children as young as 7. 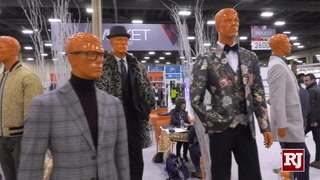 “People are looking for an alternative to the treadmill, and we are definitely that,” Mondey said. Stephan and Lisa Cote built a makeshift trapeze setup in a friend’s backyard about seven years ago “as a joke,” Stephan said in a recent phone interview. 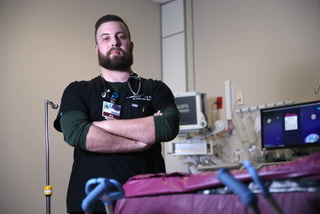 “And then from the side of the road, people asked to take classes,” he said. 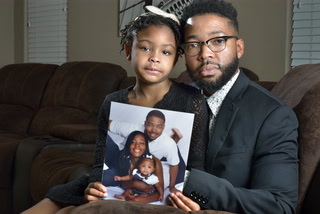 What started as a way to teach his daughters the art of trapeze turned into a business on the Las Vegas Strip that draws interest from locals and tourists alike looking to learn the art of flying. Trapeze Las Vegas offers $65 lessons where students climb a ladder 23 feet high to conquer what Cote calls their “fear of the unknown.” After teaching students the basics, the studio allows them to attempt a catch-and-release act with a professional trapeze artist. Getti Kehayova grew up in the circus, traveling all across Europe to perform as an acrobat. 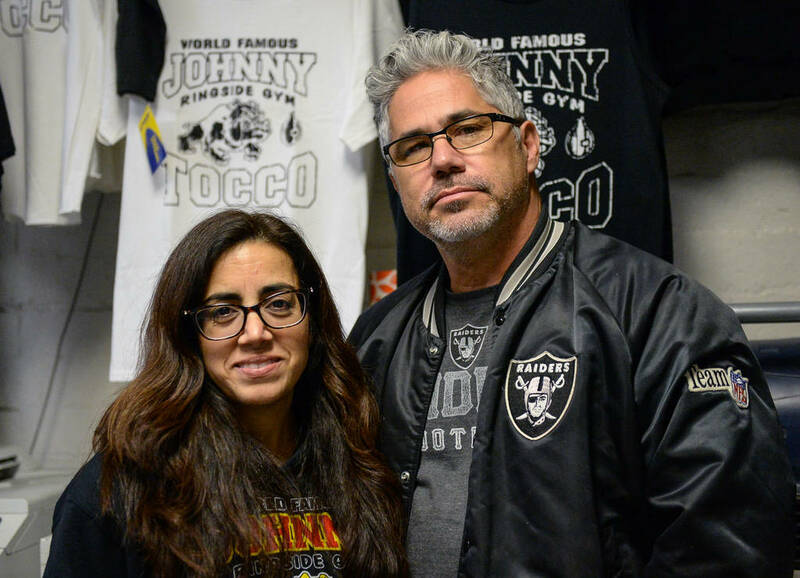 When she finally retired in Las Vegas about five years ago, she wanted to enjoy the tricks of the trade — without the dangerous lifestyle. She settled on hula hooping. Kehayova offers private 75-minute workshops for up to six people for $85 per person. She also teaches on Saturdays at Bodysport Fitness Center in Las Vegas. 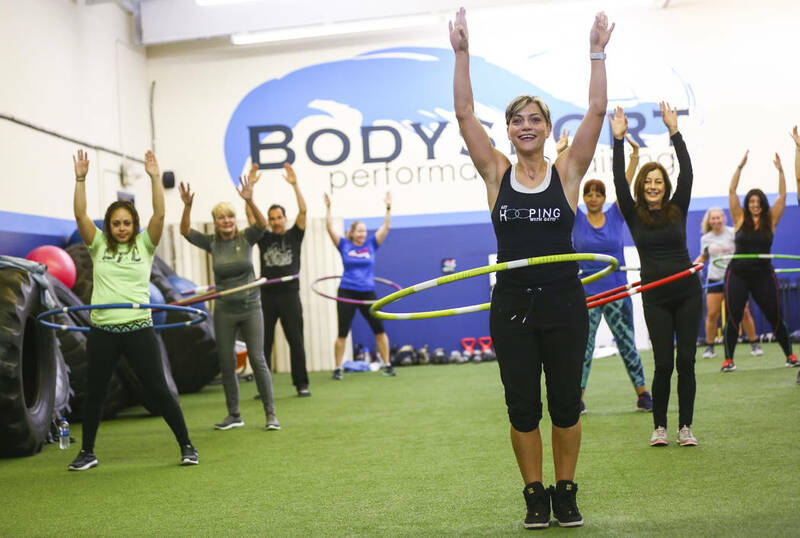 To attend a Saturday class, RSVP through her Meetup group (meetup.com/Hula-Hoop-Fitness-Class). 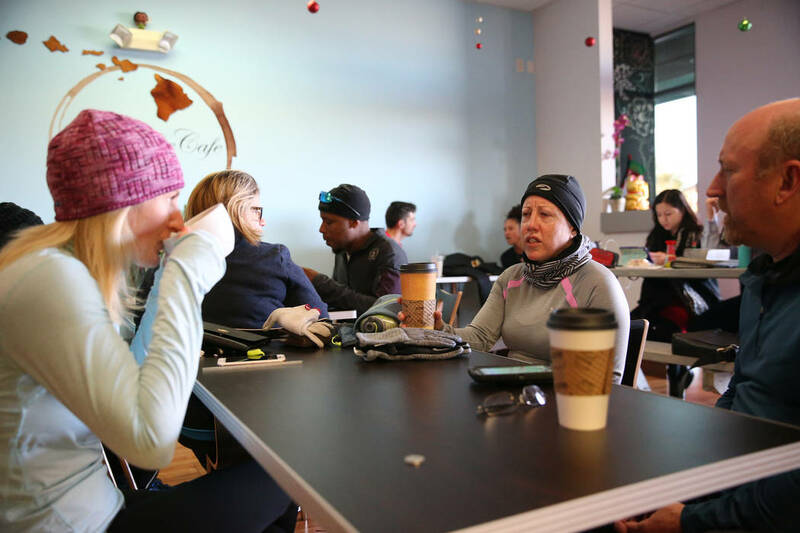 For those looking to get their blood pumping on a budget, Meetup groups (meetup.com)offer opportunities to meet with people who have similar fitness interests, often free of charge. 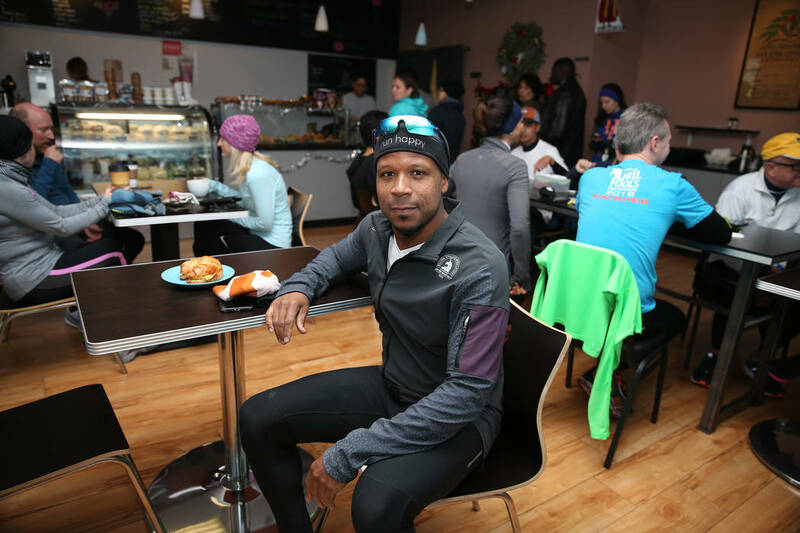 Creating a safe haven for new runners and marathoners alike was Jeremy Wallace’s goal when he started the Las Vegas Runners Meetup group more than five years ago. 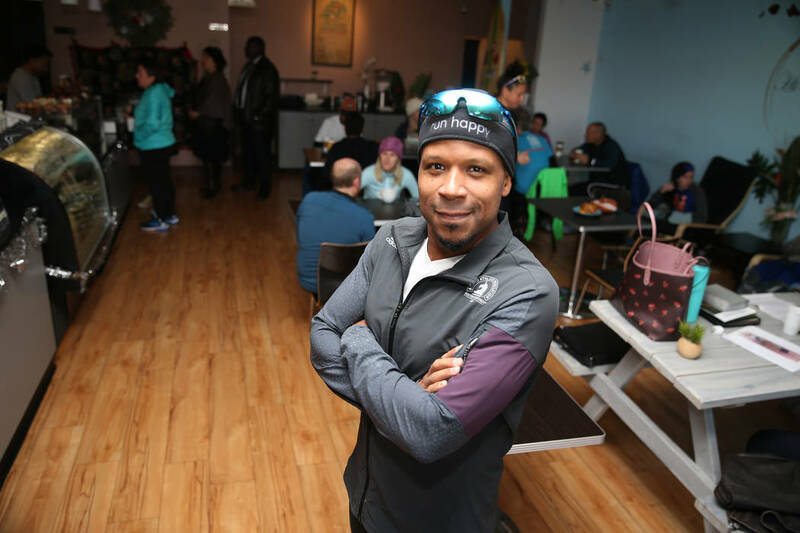 “What we ultimately wanted was a way for runners to come together in a noncompetitive way and share their training,” Wallace said. 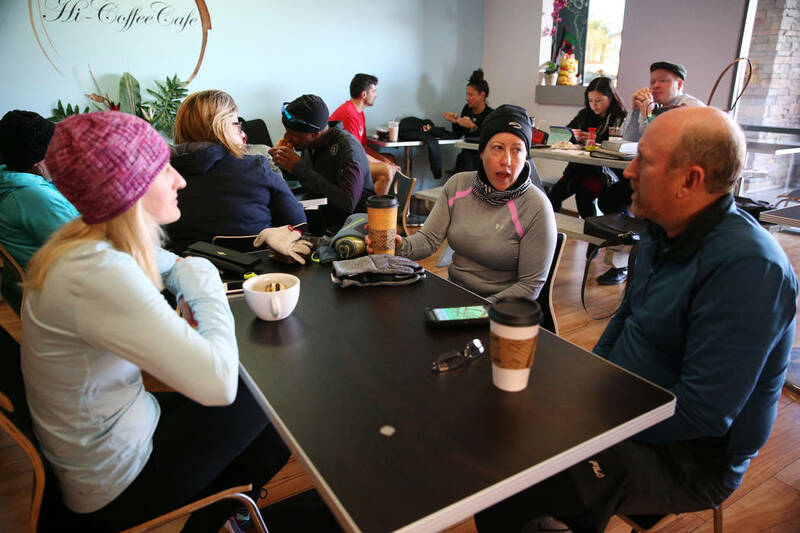 At 6:30 a.m. every Saturday, 40 to 60 runners of all abilities gather at a pre-determined location to run a course designed by Wallace, followed by chats over coffee. Wallace said the group’s camaraderie pushes him to get going every Saturday morning. “It’s the bright spot of my week,” he said. 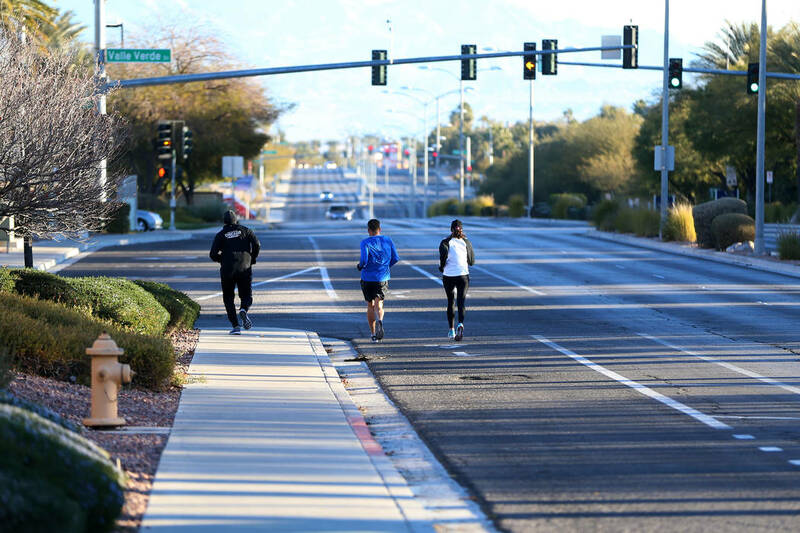 meetup.com/las-vegas-runners. 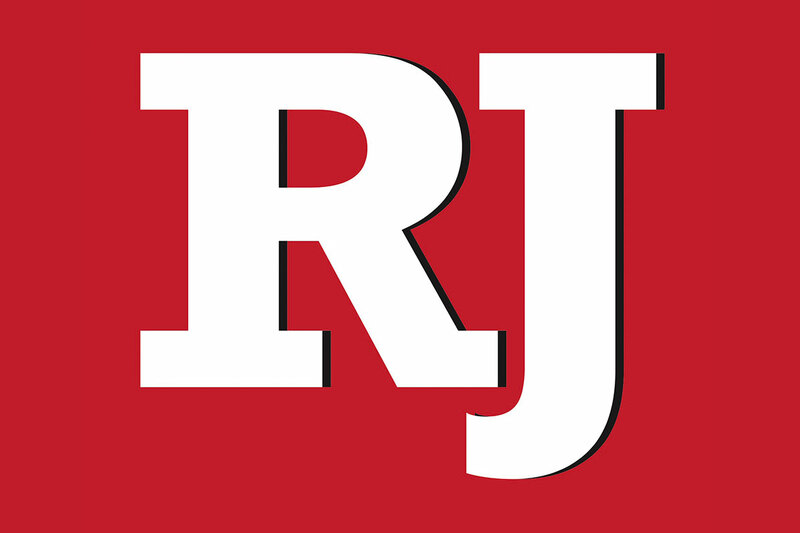 Contact Jessie Bekker at jbekker@reviewjournal.com or 702-380-4563. Follow @jessiebekks on Twitter. 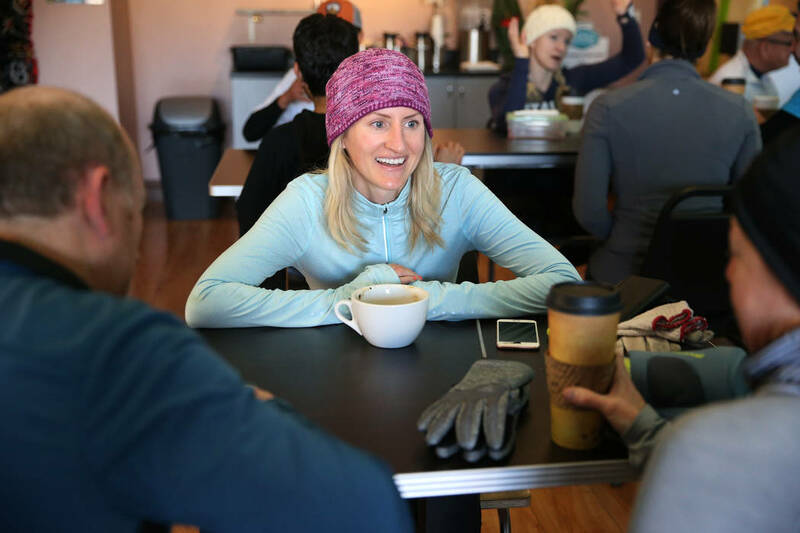 Other groups on Meetup that focus on fitness include VegasHikers, which has more than 20,500 members, Pick Up Sports in Las Vegas, NV and Mountain Bike Las Vegas. Walk with a UMC Doc is a University Medical Center chapter for a national program for adults over 50 to take a stroll and get their questions answered by a physician. The group takes RSVPs through Meetup. The group meets monthly and covers a range of topics, said UMC phyiscian experience manager Sylvia Vazquez. For more information, visit www.meetup.com/walkwithumcdoc.